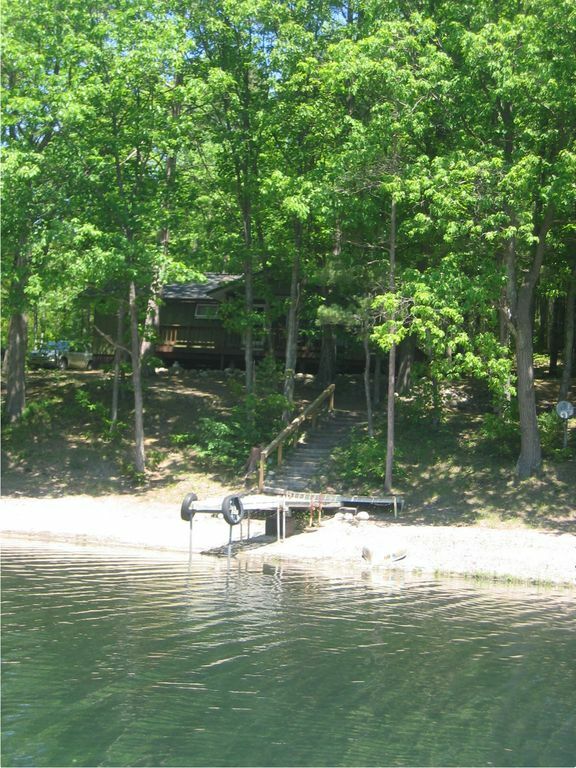 Relax in the comfort of this all season, lakefront vacation home. This 3-Bedroom, 1½-Bath home accomodates 6 adults with all of the amenities of home. Queen beds in all 3 bedrooms. The property is located on a large wooded lot with a wrap-around deck overlooking 200 feet of shoreline on Lake Arrowhead.Spring / Summer- Morel mushroom hunting, nature walks, biking, swimming, boating, fishing, hiking and golf. Gaylord is known as the 'Golf Mecca of the Midwest.' The area features over 20 world class courses. Most are less than 30 minutes away. Fall / Winter- Beautiful fall colors, downhill and cross county skiing and snowmobiling. Gaylord is centrally located inside Michigan's 'Snowbelt', receiving abundant snowfall each winter. Gaylord's trail system connects thousands of miles of marked and groomed trails. No issues. Quiet cozy place to stay. Beautiful lot on the water. I hope to come back again. Came up mid September when the weather was high of 60s, low of 40s. Since it was past labor day, there was barely anyone there. The lake is clear & clean. The family went swimming & fishing. I caught bluegill, bass, and pike. The cabin was nice and beds were good. The location is perfect on the lake and within 8 minutes to downtown Gaylord. Took the family to the city elk park and my wife heard a bull bugle for the first time. It was so relaxing. I would go in the fall again! Only neighbors on one side and lots of privacy. The lake is full of fish and the views are wonderful. The cottage was comfy and there was more than enough space for us. Our dog loved swimming in the lake and watching the fish. Cant wait to go back next summer! If you like that old school up north feel (not touristy), this is perfect. And even though it doesn’t feel like it, it’s less than 20 minutes from downtown Gaylord, so you can do the tourist bit too, if you want. We had a wonderful time. Additional note: This is one of the cleanest lakes we’ve ever experienced as well. Definitely a 5 Star stay.